The United States established diplomatic relations with Benin (then called Dahomey) in 1960, following its independence from France. Between 1960 and 1972, a succession of military coups brought about many changes of government. The last coup brought to power Mathieu Kerekou, who instituted one-party, Marxist-Leninist rule until the early 1990s. Following the collapse of worldwide communism, France and other democratic powers encouraged Kerekou to convene a National Conference which transitioned the country to democratic government. In the years since then, U.S.-Benin bilateral relations have been excellent. The United States supports the consolidation of democracy and economic liberalization in Benin. Legislative and Presidential elections in 2015 and 2016, respectively, were peaceful and benefited from strong citizen participation and robust press freedom. Poor health care, the low quality of public education, and endemic corruption, however, persist as obstacles to national development. 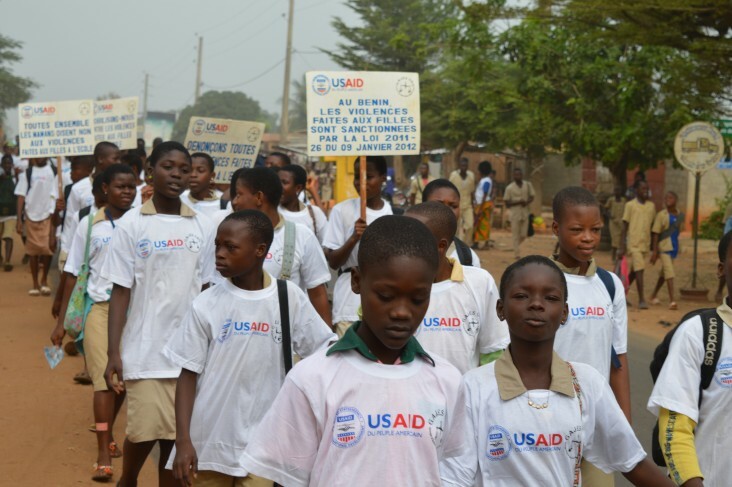 The United States supports efforts to improve the health of Beninese families by reducing the malaria disease burden, improving the health of mothers and young children, and strengthening the health system. In September 2015, Benin and the Millennium Challenge Corporation (MCC) signed a second compact for $375 million, plus a $28 million contribution from the Government of Benin. The MCC compact aims to strengthen Benin’s national electricity utility, attract private sector investment, and fund infrastructure investments in electric generation and distribution as well as off-grid electrification for poor and unserved households. U.S. assistance also provides support to Benin’s defense and military capacity enhancement, enabling the country to maintain domestic peace and security while contributing to regional stability. Benin is eligible for preferential trade benefits under the African Growth and Opportunity Act. Trade between Benin and the United States is small, but interest in U.S. products is growing. U.S. exports to Benin include used vehicles, oil, machinery, and perfumery/cosmetics. U.S. imports from Benin include shea butter and cashews. The United States aims to promote increased trade with Benin and thereby with Benin’s neighbors, particularly Nigeria, Niger, and Burkina Faso, whose imports pass through Benin. The United States also works to stimulate U.S. investment in key sectors such as energy, telecommunications, and transportation. Benin and the United States have a bilateral investment agreement. The United States also has a trade and investment framework agreement with the West African Economic and Monetary Union, of which Benin is a member. Benin and the United States belong to a number of the same international organizations, including the United Nations, International Monetary Fund, World Bank, and World Trade Organization. Benin also is a member of International Criminal Police Organization (INTERPOL).. 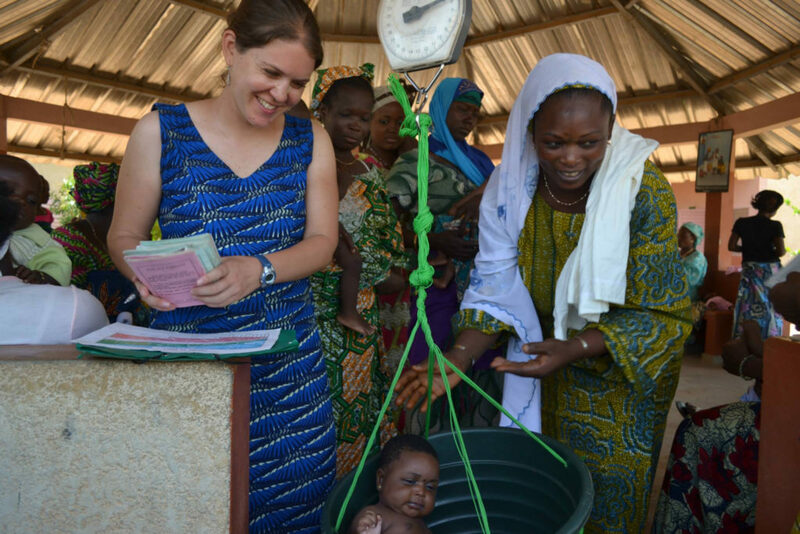 Since 1968, more than 2095 peace corps volunteers have worked with Benin communities on Economic development, education, environment, health and education projects. There are more than 85 Volunteers in Benin working with their communities on projects in community economic development, education, the environment, and health. During their service in Benin, Volunteers learn to speak local languages, including Bariba, Ditamari, Dendi, Fon, French, Mahi, and Nagot. More than 2,095 Peace Corps Volunteers have served in Benin since the program was established in 1968.